In a large bowl, combine beef and onion, mixing lightly but thoroughly. Shape into 1-in. balls. In a large skillet over medium heat, cook meatballs in two batches until cooked through, turning occasionally. Using a slotted spoon, transfer meatballs to a 3-qt. slow cooker. 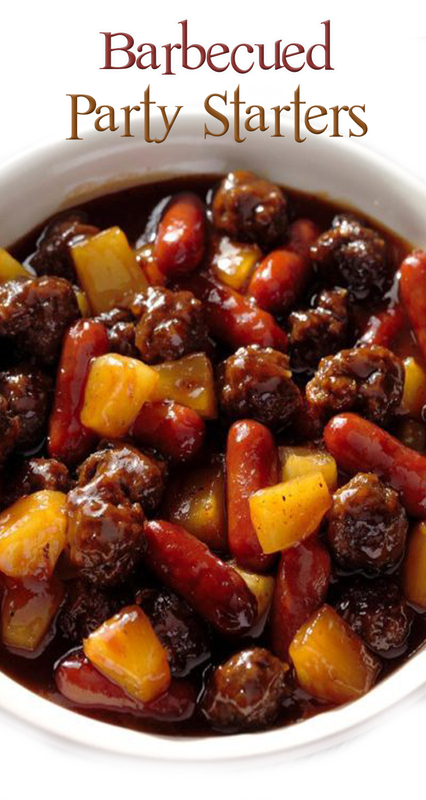 Add hot dogs; stir in preserves and barbecue sauce. Cook, covered, on high or until heated through, 2-3 hours. Stir in pineapple; cook, covered, until heated through, 15-20 minutes longer.